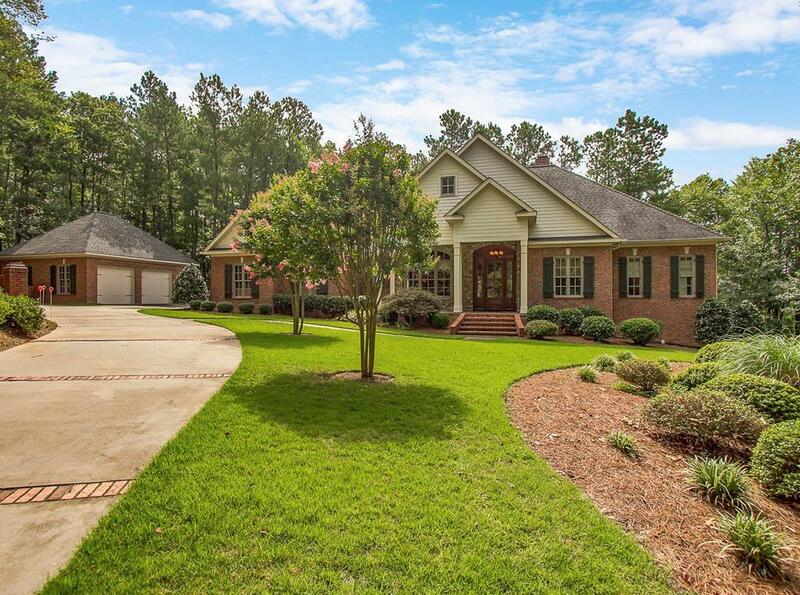 Spectacular home on 5 wooded acres. This home is an absolute dream featuring hardwood floors, heavy trim, gorgeous stained front door with double sidelights and arched transom, grand formal dining room and foyer, open and bright great room, and a stunning kitchen with granite, bar, wall oven, and pantry. The owners suite is a perfect retreat with custom built-ins, sitting area, jetted tub, tile shower, tile floor and granite top vanity. . Tons of extras including covered porches, sun porch, kitchenette, shuffleboard + media room, built-in bookcases, built-in speaker system, 2 gas log fireplaces, stacked stone mantel, walk-in closets, alarm system, 2 water heaters, double attached garage + detached 2-car garage with air/heat, sprinkler system, utility sink, and walk out entrance on lower level. Enjoy all of the amenities of living in Mount Vintage Plantation including golf course, clubhouse, tennis courts, and pool.